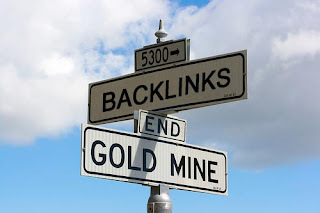 Backlinks are inbound links to your blog/site. Backlinks are important for achieving a High Page rank in Search engines. In this tutorial I'll show you How to create a backlink in HTML. Creating a backlink is an easy task but placing them on other sites and webpages is difficult, so you should try to put backlinks on as many sites as possible, This will help your site to rank high in search engines and drive more traffic to your site. Here is a Backlink code, What you have to do is Just edit the places with required data and you're done creating a backlink. Now you can place this code anywhere you want and get a Backlink directing your Blog or Website. The more backlinks you have, The more Google ranks your site. Having high number of Backlinks is a good SEO, But please don't spam webpages. Don't keep commenting this code on other blogs.